Don't want to fill out certificates by hand? Handwriting too sloppy? Then choose one of our "inscribed" certificates below, which are neatly typeset based on information you provide! 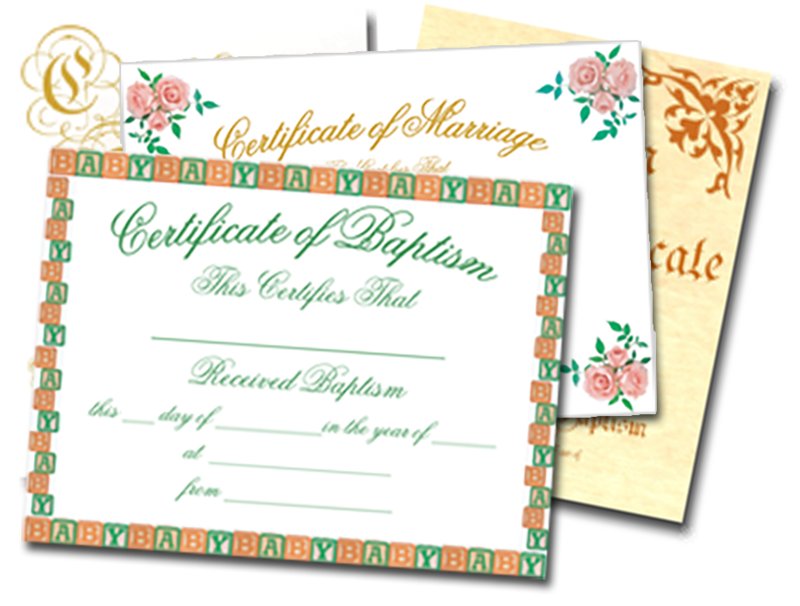 Generally included with your ordination package, additionals may be needed if you are officiating in a new area, need replacements, or have changed your name. Indicate State and County for which the Statement of Good Standing is required. This is generally the locality where the wedding ceremony will be officiated, not where you live. Enter the place where baptism took place, Proper Capitalization is important, do not use all CAPS.